Der Osnabrücker Bischof Franz-Josef Bode nimmt Anfang Oktober an der Weltbischofssynode in Rom zum Thema Familie teil. Im Interview der Katholischen Nachrichten-Agentur äußerte er sich über seine Erwartungen an dieses Treffen. KNA: Bischof Bode, was erwarten Sie atmosphärisch von der Bischofssynode? KNA: Ein großes Thema sollen die wiederverheirateten Geschiedenen sein. Sie selbst haben sich dafür ausgesprochen, Betroffene unter bestimmten Bedingungen wieder zum Kommunionempfang zuzulassen. Welche? KNA: Großes Thema wird auch der Umgang mit Homosexuellen und eine kirchliche Wertschätzung ihrer festen Partnerschaften sein. Zeichnet sich dafür eine Lösung ab? KNA: Wo Treue und Verlässlichkeit gelebt werden, kann es eine Anerkennung von der Kirche geben? KNA: Welche Chancen sehen Sie für einheitliche Lösungen in der katholischen Kirche weltweit? Bode: Die Chance gibt es immer, weil wir gemeinsam an den einen Christus glauben, weil die Grundlage die Heiligen Schrift ist und weil wir eine Tradition der Kirche insgesamt haben. Das war ja immer der Vorteil der Kirche, dass sie über Grenzen hinweg, über die Kulturen hinaus eine Gemeinschaft bildet. In der grundgelegten Auffassung von Ehe und Familie herrscht doch Einmütigkeit. Bei den homosexuellen Lebensformen wird man eine größere Verschiedenheit in den Kulturen annehmen müssen. KNA: Was wird sich in der Seelsorge nach der Synode ändern? KNA: In Rom treffen konservative und reformorientierte Bischöfe zusammen. Wird hinter verschlossenen Türen wirklich kein Blatt vor den Mund genommen? KNA: Wie wichtig ist die Teilnahme von Nicht-Klerikern? KNA: Wie wichtig ist Ihnen als zölibatär lebender Mann die eigene Familie? Bode: Ich habe vier ältere Schwestern. Alle vier haben geheiratet und zwei Kinder. Und die haben jetzt schon wieder acht Kinder. Als Onkel und Großonkel bekomme ich das ganz normale Familienleben gut mit. Leider sind zwei meiner Schwestern schon verstorben, so dass ich auch diese Situation der schweren Krankheit und Witwenschaft kenne. In meinem Bekanntenkreis habe ich Freunde, deren Ehen gescheitert sind und die gute Neuanfänge gemacht haben. Auch treffe ich mich regelmäßig mit den sechs Ehepaaren eines Familienkreises aus der Gemeinde, in der ich Pfarrer war. Ich bin sehr eingebunden in meine Familie. 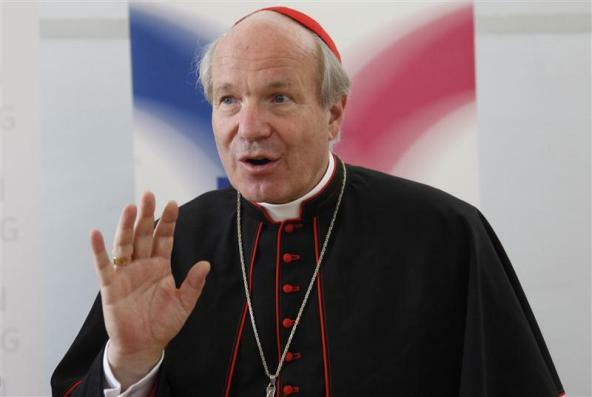 Cardinal Christoph Schonborn of Vienna is both a senior cardinal of the Catholic Church, once thought to be a “papabile” at the last conclave, and a notable theologian. He was a student of Cardinal Joseph Ratzinger, and later continued as a regular participant in the theological summer schools held by Pope Benedict XVI with his favoured former pupils. Cardinal Christoph Schoenborn addresses a news conference after a meeting in Vienna September 24, 2010. His views are worth taking seriously – and are often prescient. When he remarked, a few years ago, that it was high time that the Catholic Church stopped obsessing about gay genital acts, to focus instead on the quality of the relationships, and should consider the value of those previously divorced wanting to remarry, when so many others simply reject the entire institution of marriage, he seemed to be a lone voice in the wilderness. It was widely expected at the time that he would be quickly reprimanded. This did not happen. Instead, many other bishops began to speak along similar lines, which soon became mainstream, and have since become an important thread through the family synods, of 2014 and 2015. In a notable extended interview with the Italian Jesuit magazine Civita Cattolica, he offered some insights into the synod process, on marriage and family, and on pastoral responses to those in “irregular” relationships. During the extraordinary Synod on the family, which took place 5 to 19 October 2014, I was impressed with, among others, by the intervention of Cardinal Schönborn, Archbishop of Vienna. We had a discussion, after his speech in the classroom, during a dinner with a mutual friend. Then he told me about his experiences as a child of a family that has experienced the divorce. His lucidity was not a merely intellectual reflection, but was the result of experience. Strolling under the colonnade of St. Peter, he told me about the absence of grandparents and uncles from Synod speeches. The family, he said, is not only wife, husband and children, but is a wide network of contacts, including ​​some friends and not only relatives. Any divorce affects a large network of relationships, not only on a couple’s life. But it is also true that the network can withstand the impact of the split and support the most vulnerable, the children, for example. We did not end the conversation. We continued for two subsequent meetings, after a few months, at the headquarters of Civiltà Cattolica. Once with his friend and fellow Dominican Fr Jean Miguel Garrigues, who I also interviewed for our magazine (1). And the interview finally, continued in Vienna at the Kardinal KönigHaus.The following interview is the result of these meetings, which eventually took the form of a dialogue unit. I asked the Cardinal for a reflection closely tied to his experience as a pastor. And this pastoral inspiration that gives body and breath to his words.During the extraordinary Synod on the family, which took place 5 to 19 October 2014, I was impressed with, among others, by the intervention of Cardinal Schönborn, Archbishop of Vienna. We had a discussion, after his speech in the classroom, during a dinner with a mutual friend. Then he told me about his experiences as a child of a family that has experienced the divorce. His lucidity was not a merely intellectual reflection, but was the result of experience. Strolling under the colonnade of St. Peter, he told me about the absence of grandparents and uncles from Synod speeches. The family, he said, is not only wife, husband and children, but is a wide network of contacts, including ​​some friends and not only relatives. Any divorce affects a large network of relationships, not only on a couple’s life. But it is also true that the network can withstand the impact of the split and support the most vulnerable, the children, for example). Your Eminence, what was, in your view, the intention of the Extraordinary Synod of the family? There has been talk of family joy and challenges of the family. When Francis became Pope, the theme for the next Synod had already been set by his predecessor, Pope Benedict: general issues of Christian anthropology and, above all, bioethical issues. During his first meeting with the Council of the Synod, Pope Francis observed that it would be difficult to address these issues outside of a framework of background on the family and marriage and, consequently, little by little the issue moved without neglecting the anthropological questions, but placing them in connection with this original anthropology that is the biblical teaching about man and woman, their marriage, their vocation and the great theme of marriage and the family. But why take up a theme that St. John Paul II dealt with exhaustively in the course of the 27 years of his pontificate? I think that Pope Francis wanted above all to encourage us – and he repeated it several times – to look at the beauty and the vital importance of marriage and Family with the gaze of the Good Shepherd who makes himself close to everyone. He set in motion this synodos, this common journey, in which we are all called to look at the situation, not with a look from above, from abstract ideas, but with the look of the shepherds who perceive the reality of today in an evangelical spirit. This view of family reality and marriage is not, first of all, a critical look that underlines every failure, but a benevolent one, seeing how much good will and how much effort are there, even amid so much suffering. After all, we are asked an act of faith: to approach, like Jesus, to diverse crowd without fear of being touched. Yes, a desire to watch real people in the joys and sorrows, griefs and anxieties of their daily lives and bring them the Good News, and find that living the Gospel in the midst of many hardships, but also such generosity. 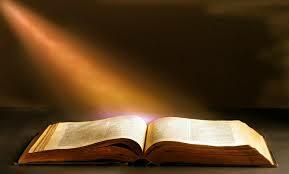 We must break away from our books to go into the crowd and be touched by the lives ocf people. Look at them and know their situations, more or less unstable, since deep desire is inscribed in everyone’s heart. It is the Ignatian method: look for the presence and action of God in the smallest details of everyday life. We are still far from achieving this auspicious start made ​​by Pope Francis. We have not reached this dimension in ecclesiastical discourse and in the discourse of the Synod. We speak too with a language made ​​of vacuous concepts. According to some, however, the aim should be eminently doctrinal; some even fear for the doctrine. The challenge Pope Francis puts to us is to believe that, with the courage that comes from simple proximity, from the everyday reality of the people, we will not turn away from doctrine. We not risk diluting its clarity by walking alongside people, because we ourselves are called to walk in faith. Doctrine is not, in the first instance, a series of abstract statements, but the light of the word of God demonstrated by apostolic witness to the heart of the Church and in the hearts of believers who walk in the world today. The clarity of the light of faith and its doctrinal development in each person is not in contradiction with the way that God works with ourselves, that we are often far from living fully the Gospel. So what are the challenges with which the ordinary Synod will have to deal? We can identify several key points which would be detrimental not give proper weight. The first that comes to mind is to become aware of the social and historical dimension of marriage as a family. Too often we theologians and bishops, pastors and guardians of doctrine, forget that human life takes place in the conditions imposed by a society: psychological, social, economic, political, in a historical context. This has been lacking in the Synod. And the thing is amazing compared to the enormous changes that individual during the seventy years of my own life. How can we forget that throughout history marriage has not been accessible to everyone? During several centuries, perhaps millennia, marriage was not what the Bible tells us of man and woman. For a large number of people, marriage was simply not possible, because of the social conditions. Just think of the slaves. We think in many professions for which marriage was both economically inaccessible, it is excluded former professed. In the countryside, up to three generations ago, there were used, farmers who did not marry because they had the option of paying the dowry. In the nineteenth century baptismal records in Vienna, about half of the children were illegitimate children of the servants of the bourgeois houses that they could not marry because they did not have the means. Think of the situation, also present in poor countries. 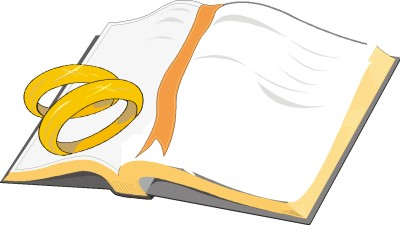 It left me a little shocked that at the Synod we speak very abstractly of marriage. Few of us have talked about the real conditions of young people who want to marry. We complain about the almost universal reality of de facto unions, many young and not so young who live together without getting married civilly and even less religiously; we are here to deplore this phenomenon, instead of asking, “What has changed in the conditions of life?”. You are a pastor. You are the archbishop of Vienna. What happens today in Austria? In Austria young people are living – and they are the vast majority – disadvantaged by the tax authorities, if they marry. Furthermore, their work situation is often precarious, and they hardly find a stable and lasting as happened to my generation. How can we want to build a house, start a family in these conditions? We find a social situation that was very common in the last century, when many were excluded from the good of marriage simply because of their situation. I’m not saying that what happens is good, but we need to have a careful and compassionate look at the reality . There’s plenty of finger-pointing on hedonism and individualism of our society. It is more difficult to observe these realities carefully. I feel that his speech is marked by a faith in the ability of good people, despite everything. We must bear witness to a deep trust in man, child of God, loved by God, and a deep trust in marriage and the family, the vital cell of society. I was very impressed to hear this positive thread from Pope Francis. For example, when during the Synod he reminded us: “But you do not talk about their grandparents.” And it is true: our speech is often so formal! How many times has he talked about his famous grandmother that so marked his life! He invites us to look with love and with a fund of trust at this reality of the family. From Africa and the Philippines, Signs of Hope for LGBT Catholics! Commonweal reports on a fascinating interview with the African Archbishop Charles Palmer-Buckle of Accra, Ghana, in the conservative website Aleteia, His responses should be warmly welcomed for the hope they imply for greater inclusion of both lgbt Catholics, and those who have been divorced and remarried. (There could also be some schadenfreude in noting how the responses clearly discomforted Aleteia’s interview, who did his best to get Palmer – Buckle to modify his words – to no avail). In a wide-ranging, at points jaw-dropping interview with Aleteia, Archbishop Charles Palmer-Buckle of Accra, Ghana, signaled his openness to finding a way for remarried Catholics to be readmitted to Communion–and suggested the church might reinterpret Scripture to allow the “unbinding” of marriages. Palmer-Buckle, who is sixty-four years old, was selected by his brother bishops to represent Ghana at this October’s Synod on the Family. Early in the interview, the archbishop makes it clear that he takes seriously Pope Francis’s call for open discussion of the challenges facing Catholic families today. In Asia, the Catholic Bishops’ Conference of the Philippines has issued a statement in support of a government bill to prohibit anti-gay discrimination. At the Filipino blog Catholic LGBT (Catholic gay and blessed), there are two posts quoting sections of the statement, in which Archbishop Socrates Villegas, President, Catholic Bishops Conference of the Philippines, sets out the bishops’ opposition to homophobia, and support for greater lgbt inclusion in the life of the church. The Church has much to contribute towards the education of Catholics to be more accepting of others and to see through appearances the Lord present in each brother and sister There can be no more approval of parents who imbue in their children the loathing and disgust for persons with a different sexual orientation or with gender identity issues. In Catholic institutions, there should be zero – tolerance for the bullying and badgering of persons in such personal situations. To be sure, it’s not all rosy in the garden. A longer news report at Rappler also describes how Villegas, while opposing discrimination, reserved the right to contiue discriminating in its own hiring and selection procedures for the priesthood, and the Church’s firm opposition to both homosexual “acts”, and gender transitions. Like many other bishops, he has no desire to change Church teaching – but just like the 2014 Family synod, this signals a clear desire to adjust pastoral practice, in a more sensitive, caring direction. That augers well for the 2015 synod, and in the longer run, that will undoubtedly lead to some modification of the core doctrine, itself. The Bishops' Call to Reflect on "The Gift of Marriage and Family Life"
Archbishop on Synod "Lack of Will" to Say "Who Am I to Judge?" For Gay Catholics, Nothing Has Changed – Everything Is Changing. The familiar phrase, “La plus ça change, plus c’est la même chose” is usually interpreted as “the more things change, the more they stay the same”. For lesbian and gay Catholics in the wake of the synod, this formulation could equally be reversed: “the more things stay the same, the more they change”. In the entire proposed final “Relatio” of the synod, only one paragraph dealt specifically with homosexual people – and narrowly failed to secure the two thirds majority support required for approval.